A teacher reading a story to preschoolers in a classroom. Early childhood assessments can help teachers identify strengths, areas for improvement and effective educational strategies, according to the National Association for the Education of Young Children, or NAEYC. That said, informal evaluations in the pre-kindergarten classroom aren't always beneficial and can have drawbacks for you, the teacher, and your students. An informal early childhood assessment doesn't use benchmark scores, standardized tests or cut-off-line data. 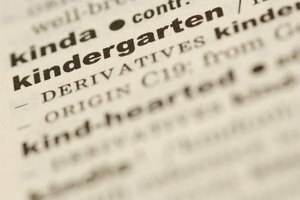 It can include a continuous record of the student's progress, such as anecdotal notes, recordings or observations, according to Susan Bowers, a professor of early childhood studies, writing on the website Early Childhood News. 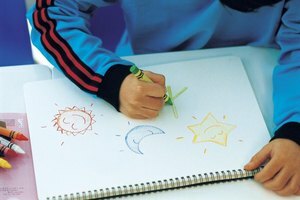 A running informal assessment allows you to compare the child's progress over time to note how he is developing. This provides a more accurate picture of his overall growth and learning abilities than a one-time test or standardized evaluation can do. You can also use this type of assessment to inform your own teaching practices. As you observe and review the child's progress, you can see the role that the curriculum and instruction play in his ability to learn. This allows you to adapt and provide the best possible instruction for the young student. Informal assessments are typically done in the child's natural setting. For example, you're taking anecdotal notes on your 4-year-old students during a pretend play period. Gathering evidence on the young child's strengths and areas for improvement is best done in a real-world context, according to NAEYC's position statement on "Early Childhood Curriculum, Assessment, and Program Evaluation." 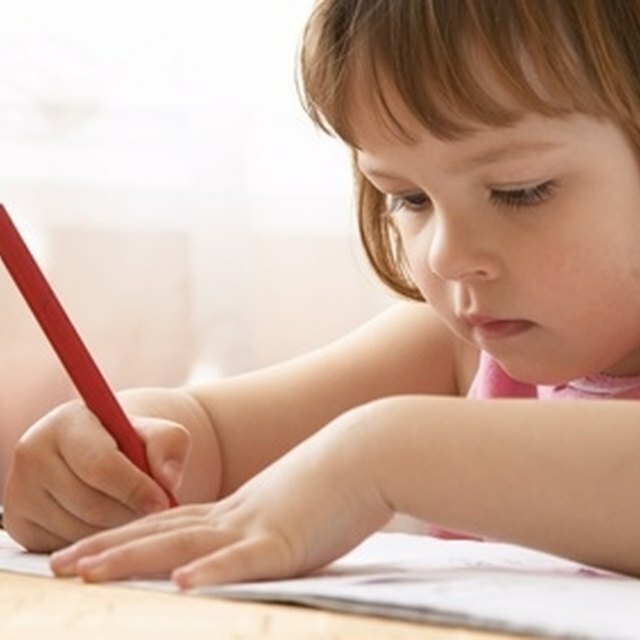 When you informally assess the student in the classroom, at home or while she is playing, you can gain a more accurate or realistic idea of how she is developing. 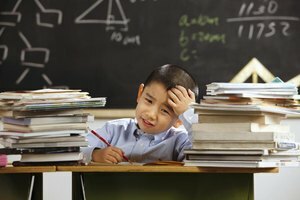 A standardized test or a formal evaluation tool, by contrast, may not provide a truthful picture of the child, who might feel scared, anxious or uncomfortable during a formal assessment, thus skewing the results. 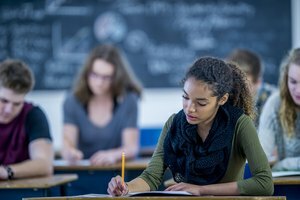 While an informal assessment allows you to compare the child at one moment to his own abilities at another moment, it doesn't always provide age-graded expectation results. If you want to assess the child's abilities or learning level against norms for his age, you will need to use a formal assessment tool, according to the article "Formal vs. Informal Assessments" on the website Scholastic Teachers. 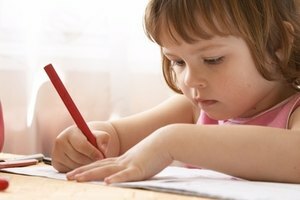 Say you are continuously observing a 3-year-old during the school year to note his fine motor development. While you can see him progress from not being able to hold a crayon to scribbling with accuracy, you aren't comparing him to what is expected for his age. It's possible that you might not see that he may need extra help to get him up to an age-graded level. Ideally, any early childhood assessment should be objective. You should evaluate the student by the facts and not your feelings, Bowers notes in her article "Assessing Young Children: What's Old, What's New, and Where Are We Headed?" An informal assessment that doesn't use number-driven data or cut-off scores may fall prey to your personal opinion. Say you're observing a 2-year-old in your class and taking notes on his social skill development. You think he's a sweet child and observe him with the belief he can do no wrong. Even though your thoughts are likely subconscious, they will affect how you observe him, the notes you take and the way you interpret the results of the assessment. This can distract you from seeing the child's true strengths and needs. Earlychildhood News: Assessing Young Children: What's Old, What's New, and Where Are We Headed? Loop, Erica. "Advantages & Disadvantages of Informal Assessment in Early Childhood Education." Synonym, https://classroom.synonym.com/advantages-assessment-early-childhood-education-8487340.html. Accessed 22 April 2019.